I'm not normally one for writing beauty reviews but I just had to share my favourite nail polish range with you now that I feel I've got a sufficient amount of them in my collection! 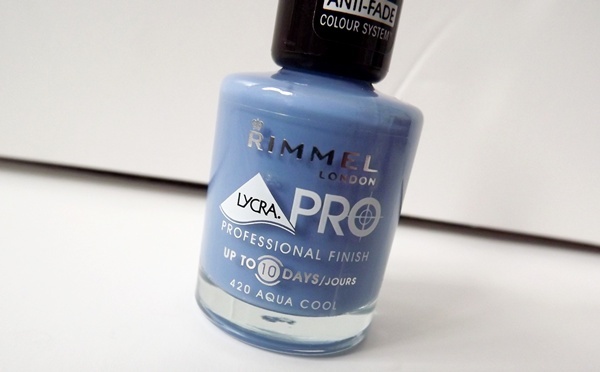 The Rimmel Lycra Pro range is one that I rarely hear about in the beauty blogging world, but that seriously deserves some high praise if you ask me. One of the best things about them is the 'maxi brush', that is the perfect size and shape to make application so so quick and easy; I haven't come across a brush nearly as good as this one from any other brand/range. The nail varnishes are also extremely glossy and among the most long lasting ones I've tried - the colour dries quick, doesn't fade, and with a topcoat is pretty much chip-less for a good few days. Basically I cannot sing the praises of this range enough, and all my recent nail polish purchases have been Lycra Pro! The range is available from Boots for only £4.79 so they are really affordable - if you haven't given them a go yet, then make sure you do. I'm currently wearing Aqua Cool and it is absolutely beautiful and I've had so many compliments; the French Manicure shade also looks lovely after a few coats and with lashings of glitter on top. 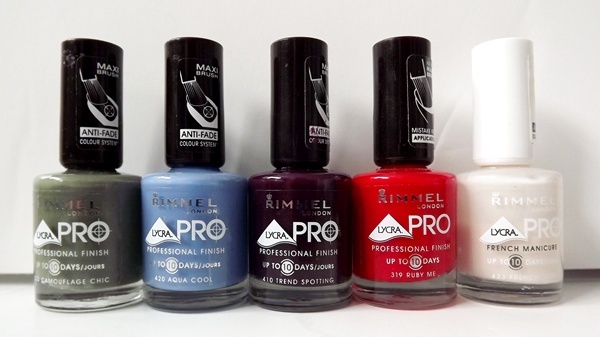 Also, just as a little disclaimer, I did buy all of these myself and haven't been sponsored by Rimmel to write this; I just wanted to share my thoughts with you because Lycra Pro is the way forward. 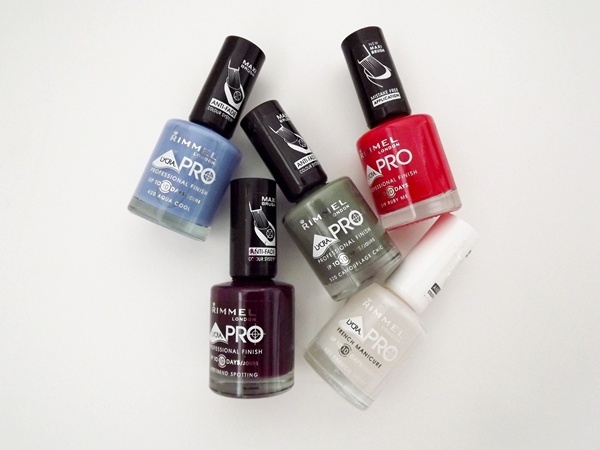 Have you ever tried the Rimmel Lycra Pro range? 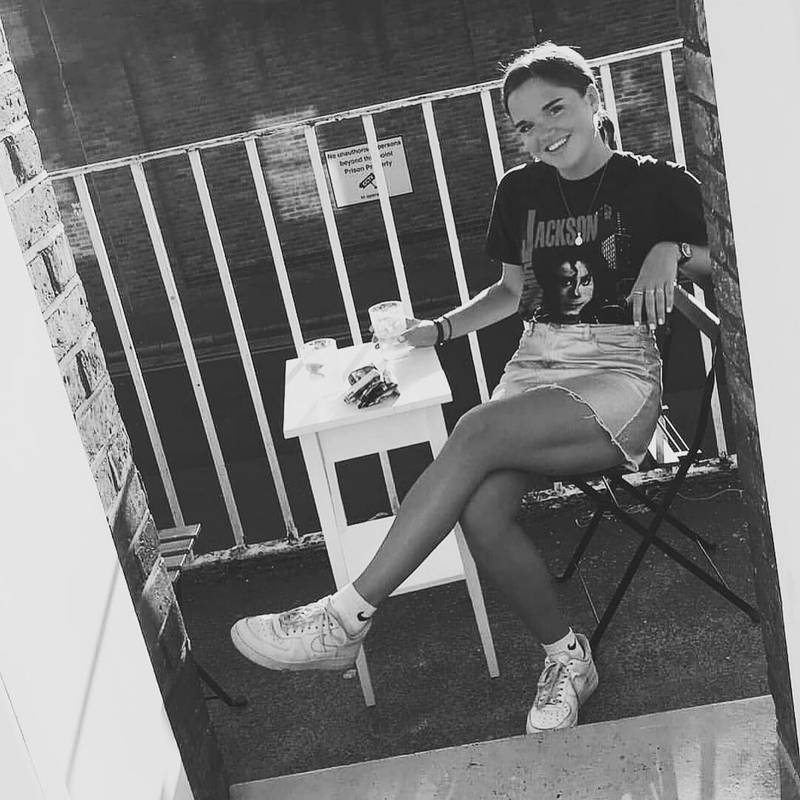 Do you think you'll give them a try after reading this post? I havent herd of these before? But by the sounds of this review i might have to haynt some down. The 'Maxi brush' sunds like such a good idea as well. I've tried the 60 seconds range and that's great so i'll have to try this in the future! I haven't seen these before, but I like the colors!